Aly and I after our interview! 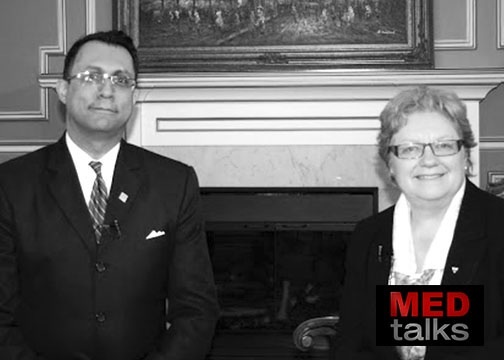 I’m was excited to take part in a discussion on leadership in medicine on a new seven-part T.V. show, MED Talks, hosted by my good friend and college Dr. Aly Abdulla. It was a great experience and I’m looking forward to seeing more of the discussions on MED Talks. The show addresses some of the current issues facing the healthcare system and I know Aly will ask the tough questions and get some great conversations going. I encourage everyone to visit Aly’s blog (Found here!) and tune in to next week’s episode! I have to keep this short, as I’m currently traveling with “spotty” internet!